Prototype: Royal Bavarian State Railways (K.Bay.Sts.B.) type CL Bavarian design local railroad car, 3rd class. Car number Regensburg 20797. The car looks as it did around 1912. Passenger cars to go with this car can be found in the Märklin H0 assortment under item numbers 42061 and 42071. 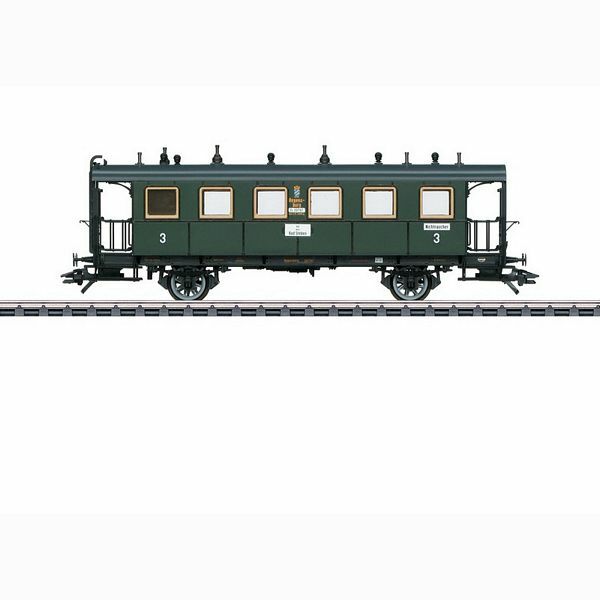 A steam locomotive to go with this car can be found in the Märklin H0 assortment under item number 36867.